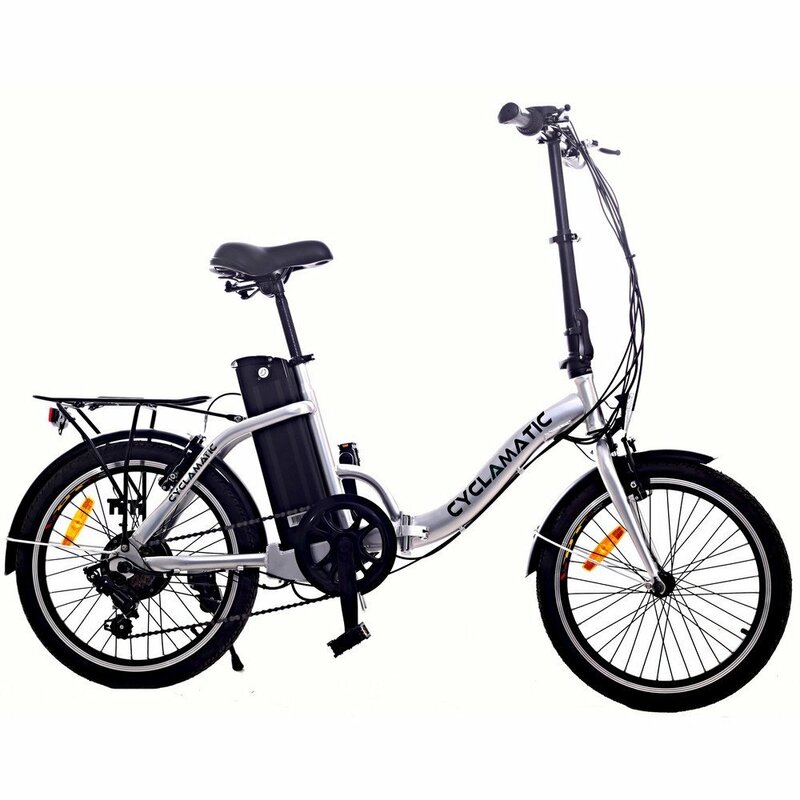 Easy Folding – Ideal for travelling holidays and those with minimal storage space, the e-bike folds quickly and easily into an incredibly compact space. 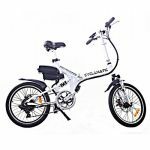 Market leaders in economical eBikes, Cyclamatic have done it again, combining enhanced power with convenience and practicality in this latest model. Ideal for commuters, travellers and those with minimal storage, the NEW CX4 pedal assist eBike folds in half for easy transportation and storage. Includes a NEW more powerful brushless motor, a NEW heavy duty battery, a 6-speed gear system, and improved reliability. 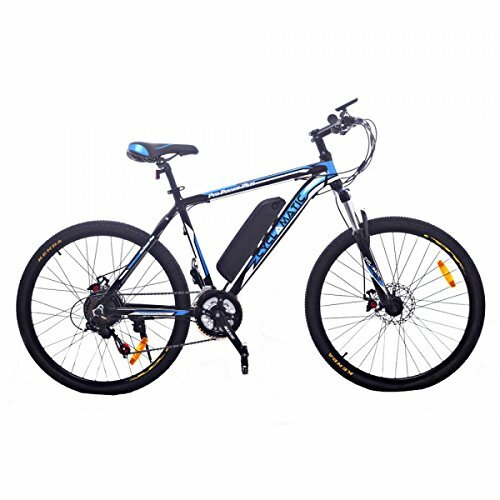 The lightweight alloy frame, dual suspension, strong brakes and quick-shift gears offer all the qualities of a premium bike with the added benefits of a quick and easy compact folding mechanism and five pedal assist modes. The Class 1 pedal assist CX4 is really simple to use. 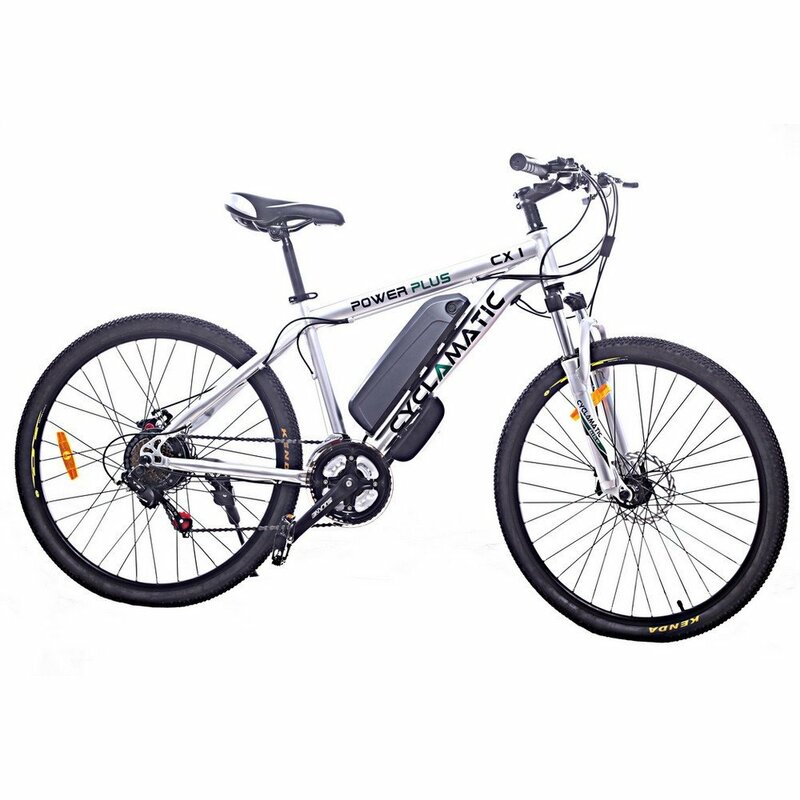 As soon as you start to pedal the powerful and low maintenance NEW upgraded 250W motor kicks in to enhance each rotation, making travel faster and easier than a standard bike. The CX4 features five levels of pedal assist, low to high, selected by simple handlebar controls. Using a unique quick-lock-release mechanism, the CX4 folds at the cross bar and stem of the handlebar, allowing the bike to be folded and assembled in under 5 minutes without compromising the frames strength during use. 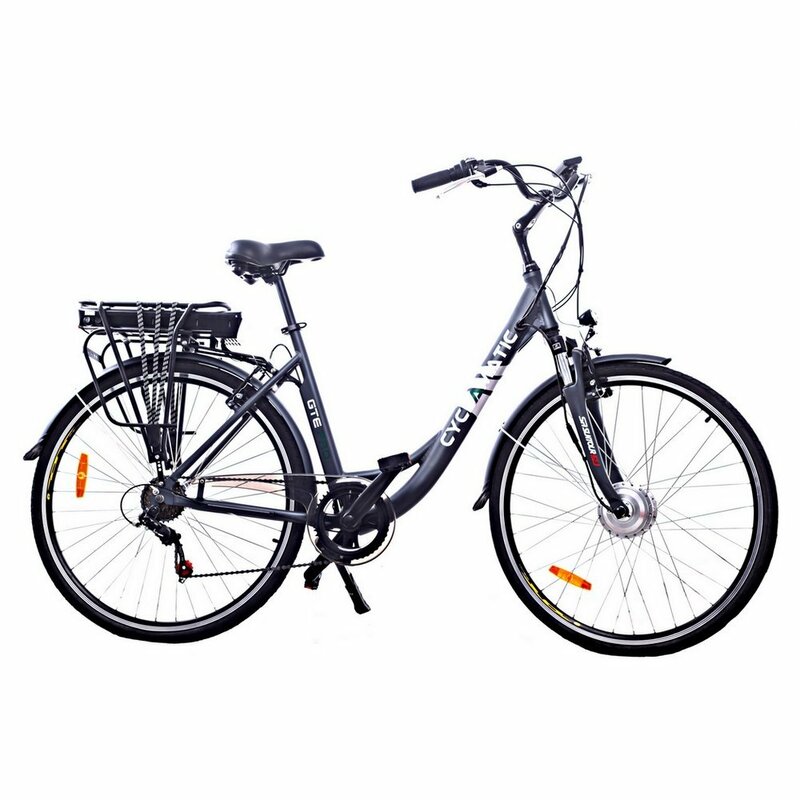 The bike is fitted with a tilt-lock seat which facilitates easy battery removal for charging and also includes a quick release front wheel for even easier transportation and more compact storage. Minimal assembly is required upon delivery (under 5 minutes). Full instructions and tools provided. The NEW heavy duty rechargeable Li-ion battery is easy to remove and recharge. Using the balance charger (included), a full charge (4 – 6 hours) provides approximately 18.5 – 25 miles travel on normal terrain at speeds of up to 15.5 mph. The battery offers a very low self-discharge rate when not in use, providing reliable power when you need it most. A battery level indicator is included on the handlebar. The battery is lockable and fully sealed so the bike can be ridden in all weather conditions, rain or shine. It also has dual suspension for a smoother ride and a 6-speed quick change Shimano gear system for easier inclines. Suitable for most terrains, the CX4 can also be used as a standard pedal bike. 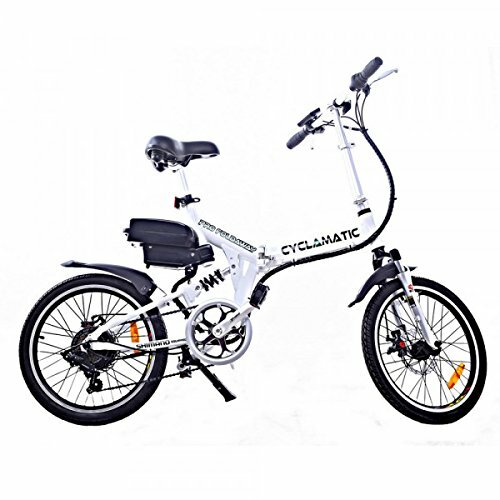 The lightweight unisex 20” alloy frame design has a white and part natural polished finish. The CX4 Pro is also available in black. Featuring a padded saddle, dual suspension, quality 20” Kenda Tyres, mud guards and 6-speed Shimano gears for a comfortable ride. Also fitted with reliable front and rear disc brakes, electric lights, a bell and reflectors for added safety. Common spare parts are available. I must say I’m really happy with the bike so far. 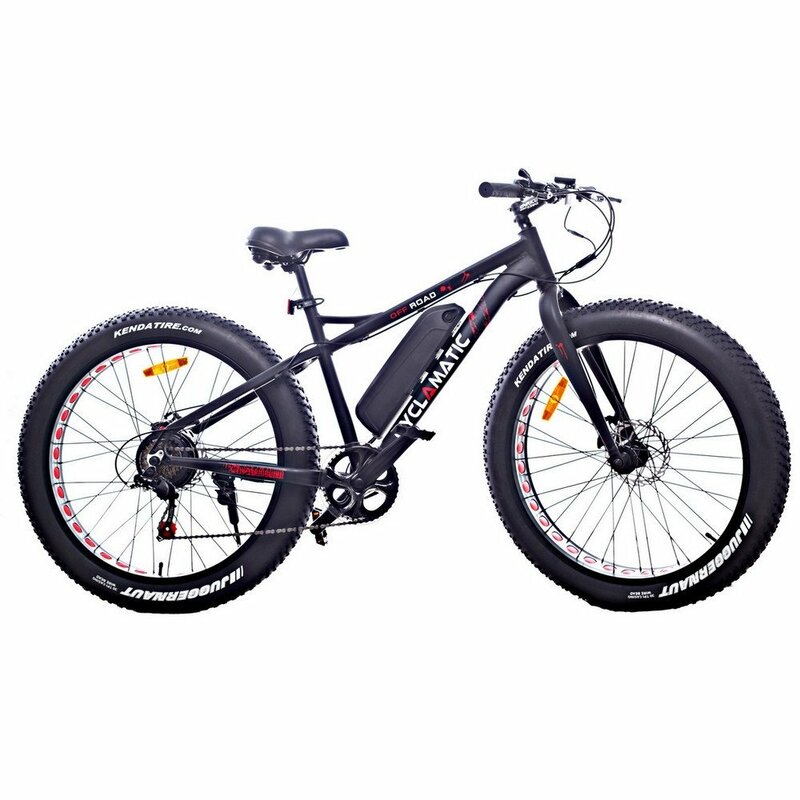 I was looking for a solid electric bike with a good pedal-assist system and this seems perfect so far. By far my favorite thing is the pedal-assist, the bike is built around that idea and does it very well. As your terrain changes you can select the amount the motor helps which is great for routes that have a mixture of hills and flat road. The bike does require constant pedaling or else the motor will shut off. This won’t stop the bike; just stops powering the motor. When comparing it to other bikes I noticed it was a bit slower then most, only about 15mph. After using it for a couple of days it’s still a lot faster than a traditional, non-electric bike and I’m able to pass most cyclists with ease. The bike is oddly shaped due to the folding feature but it rides like any other. The folding is a nice perk. I personally have no need for it yet, but I’m sure it will come handy in the future.